These are my notes based on a close reading of C.G. Harper's book, published in 1893, From Paddington to Penzance: The Record of a Summer Tramp from London to the Land's End. They are, at present, a virtual trip. While I was born in England, have lived there on and off and have family ties that connect me to Devonshire, I have little familiarity with this trip. It still awaits. As with other virtual trips, I have not adorned it with contemporary photographs. There will be none until they are my own. Harper's book is not, to my knowledge, online. It is long out of print. If you want it, you'll have to walk to your local second-hand/antiquarian dealer and have him or her find it for you. Okay, you can check out Abebooks, the second-hand organization that has hundreds of international booksellers on its lists. Last time I looked there were five listings of Harper's book, running from about $45 to 390 (US). (October 2013: 300 Cdn = 289 U.S). In 2013, you can get a pdf. of the book for about $10.00 from a bookseller on Abebooks or about $22 at Amazon. 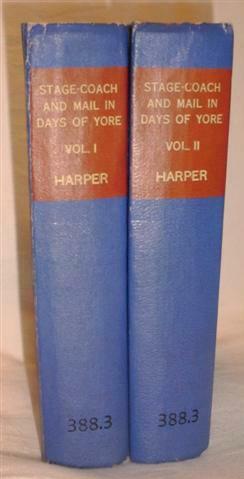 If you want to look at digital versions of some of Harper's other books, have a look at the Internet Archive. 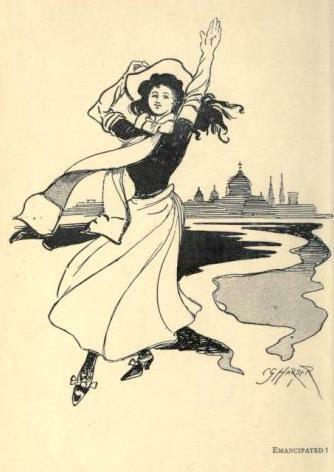 Harper (1843-1943) was an English writer and illustrator, mostly of travel books. He was born in London. I have not been able to find any information beyond what he reveals in his books. From them, I imagine him as a gentleman of some independent means that allowed him to travel the countryside with a companion, sketching and writing as he went. His writing can sometimes be suspiciously modest and sometimes his "gentleman" status shows through. In our travels, we shall draw upon Harper's extensive travel knowledge, revel over his fine drawings and take him to task whenever his class presumptions overcome him. At the same time, I have a confession. As a long-time left-wing activist and writer, I harbour a secret liking for the image of the idle gent rambling the countryside whither his fancy takes him, merrily swinging his walking stick and clad in a long weather-resistant coat with a well-worn fedora. Even Thoreau, never so much the English gent as Harper, has that air about him sometimes, even when he speaks for the people. That said, we should acknowledge Harper's embarrassingly backward pieces, such as the anti-feminist Revolting Women. We travel, thankfully, in his footsteps, not with him. Harper says that if you draw a straight line from Paddington to Penzance on an ordinance map, it looks like the trip is 265 miles. The most direct coach road is 297 miles. Harper then pleads that he and his companion (who we know only as "The Wreck") were so swayed by impulse and circumstance that they could not possibly estimate the actual distance travelled. They ask the reader to refer to the map (p 3, 4). Google instructions for walkers read "at the roundabout, take the first exit..." No, I think we've established Google is only a very rough guide for walkers. By car, Google estimates it's 306 miles and you can do it in 5 hours and 22 minutes, belting down the M1 and the M4. Considering a walker goes (say) three miles an hour (or almost five km) on the flat, walking ten hours a day would take about 10 days with no breaks. That sounds like no fun. For a comparison, the Thames Trail is 184 miles long from near the mouth to the source. The Thames Trail website advises 14 days, including a couple of days to rest. That's more like it. Suffice to say, we'll take a lot longer than the Google folks estimate. 2. Preface "Dreadful tourists" and "prigs." H. snipes at those who have gone before.